Wanna Get Away? 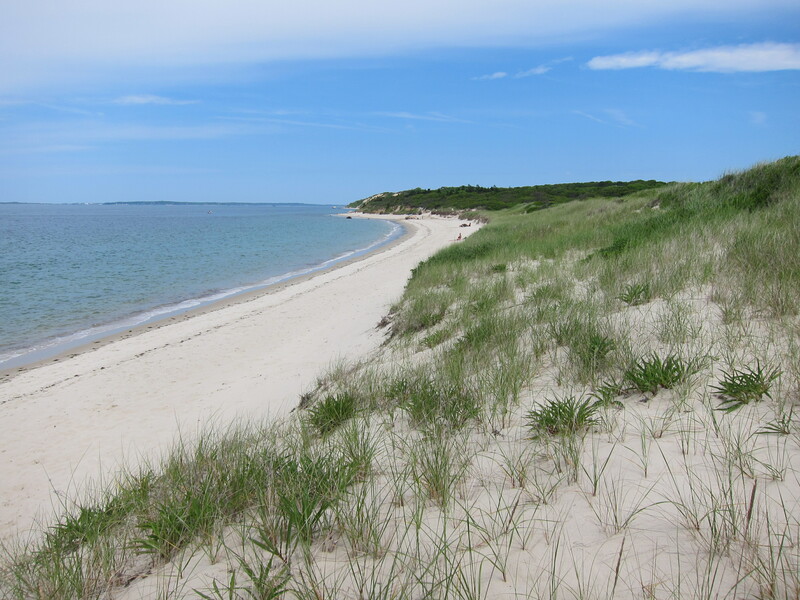 How About Martha’s Vineyard? – EHFC Members Talking! 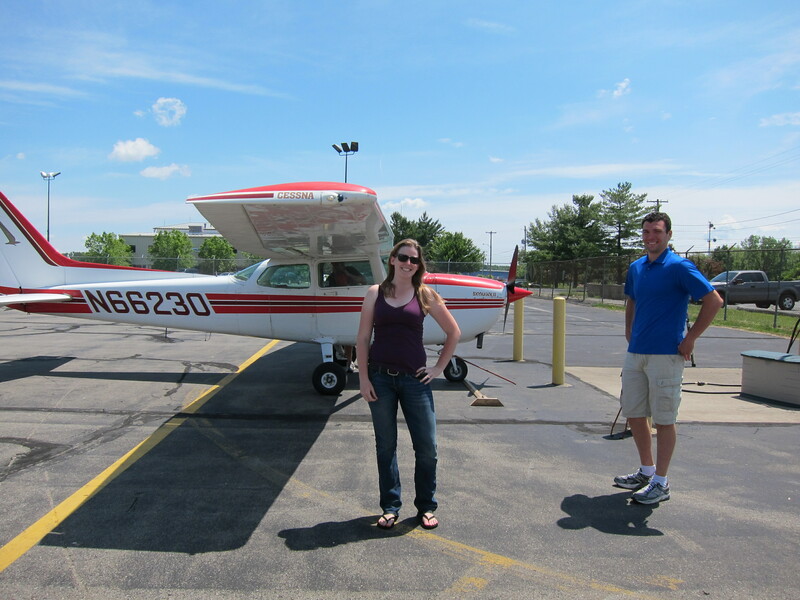 It hadn’t been two weeks since I received my Private Pilot certificate and had the bug to go somewhere. I had done the normal central New York stops of KFZY and KDSV with friends but I was ready spread my wings and escape the friendly skies of upstate. I just had to decide where to go. Ultimately the decision of where to go was an easy one. A fellow Horticulture graduate student recently began a summer internship at the Polly Hill Arboretum on Martha’s Vineyard. She posted some beautiful pictures of the island on Facebook and encouraged our friends to make the trip. 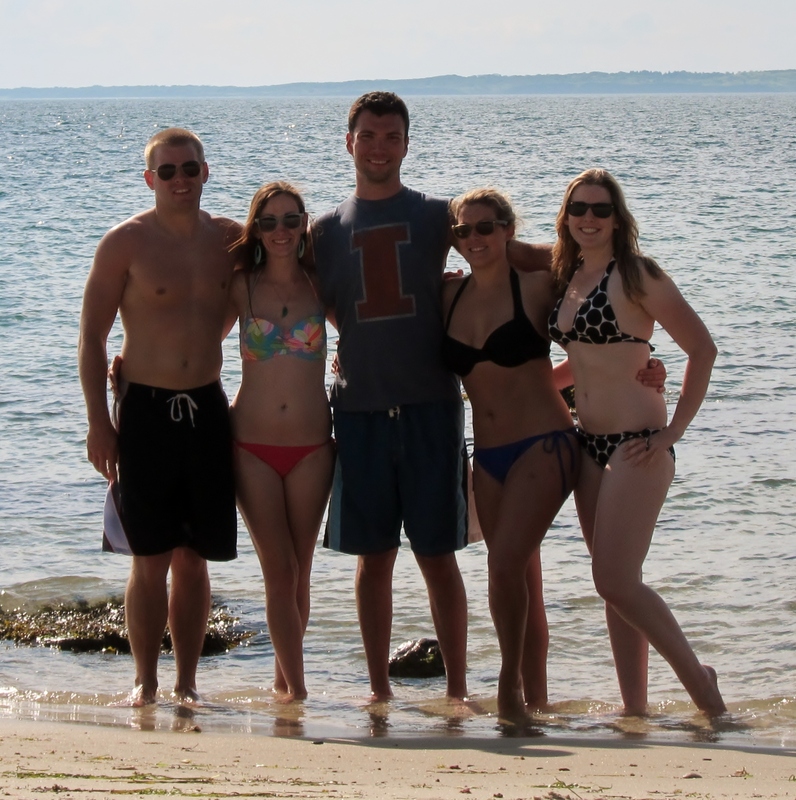 It certainly was not difficult to find three mutual friends to make the 275NM trip for a weekend getaway. Talk about an adventure. My friends and I decided to not schedule the trip long in advance. Instead we were going to watch the weather forecast and wait for a weekend with a favorable stretch of weather. To our surprise that happened to be the following weekend (the weather gods really looked down on us the whole weekend). It was really going to happen! The week preceding the trip I continued to monitor the weather, took my friends on the Discovery Flight route to get them comfortable flying in a Cessna, and began to plan my first “real” cross country trip to KMVY. Planning the route was an enjoyable challenge. With four people and baggage there was not much useful load left for fuel. I figured we could carry a maximum of 22 gallons and were going to need a pit-stop along the way. 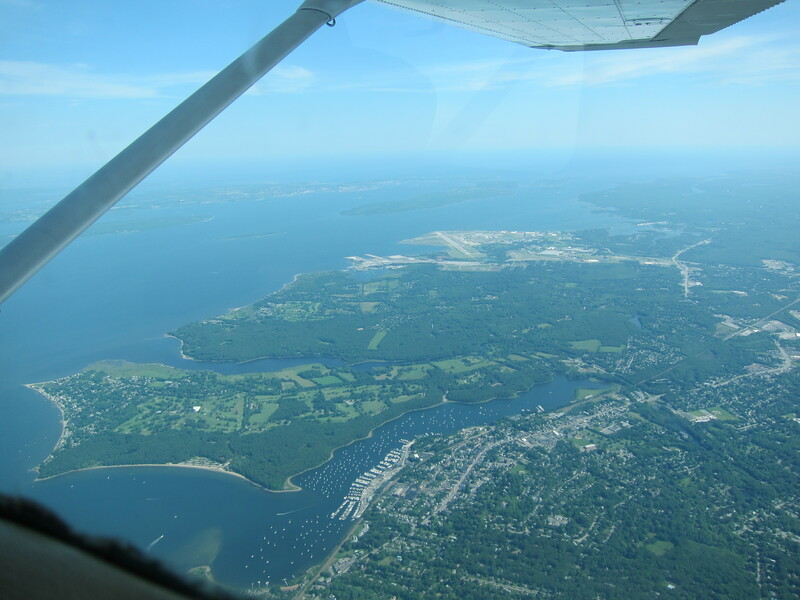 So our planned route was to fly to Hartford, CT at 7500′ MSL to fuel up N66230, fly east to New Bedford, RI, and then hang a right to KMVY. I also downloaded the airport diagrams and noise abatement procedures for Martha’s Vineyard onto the iPad for reference. Finally the day had arrived. We originally planned to leave around 1600 but there was a chance of a afternoon shower over the Hudson River Valley due to an upper level low spinning over Maine and a weak wave of energy sliding south from the Adirondacks. To avoid any late afternoon air mass storms we left at 1300 with the Stratus on-board to monitor skies. It really was great to have the weather in the cockpit for that extra peace of mind. We took off and had the luxury of a 25 knot tail wind (the same wind that slowed Lujca’s Trip to Niagara Falls) and made it to Hartford in no time at all. The rain behaved and stayed north with only a scattered cloud deck at 6500′ to stay below en-route. Landing at KHFD was pretty cool. We entered on a right base for runway 20. This takes you very close to the skyscrapers of downtown Hartford just to the north. KHFD was a nice little Delta airport with a fair amount of GA traffic and helicopters cruising around the pattern. 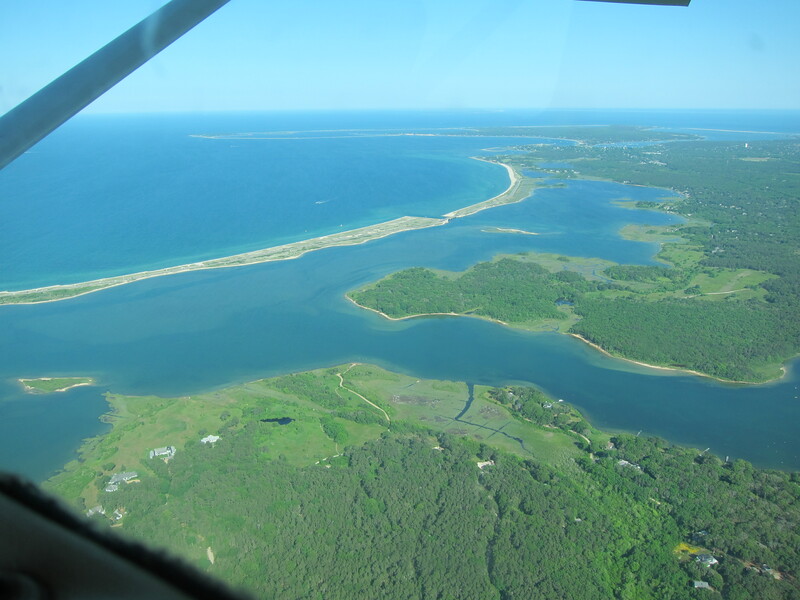 After a quick fuel stop we were back on our way for the one hour leg over Providence, New Bedford, and finally Martha’s Vineyard at 5500′. Bradley, Providence, and Cape Approach Control were great to deal with and it was obvious we were out of NY state when we heard the thick Massachusetts accent of the KMVY tower controller. We entered the traffic pattern on a right base for runway 24. There are two perpendicular runways at MVY which is important because it can be windy. The MVY airport is really set up well for GA traffic. There have different parking areas depending upon the length of your stay. Fuel prices were incredibly reasonable despite the $4.50 gallon MoGas on the island. The ramp fee was $10 per night and the first night is waived. The line staff was incredible helpful and would shuttle pilots and passengers to the FBO with stretched out golf carts. It really was a pleasure to work with the staff of MVY. 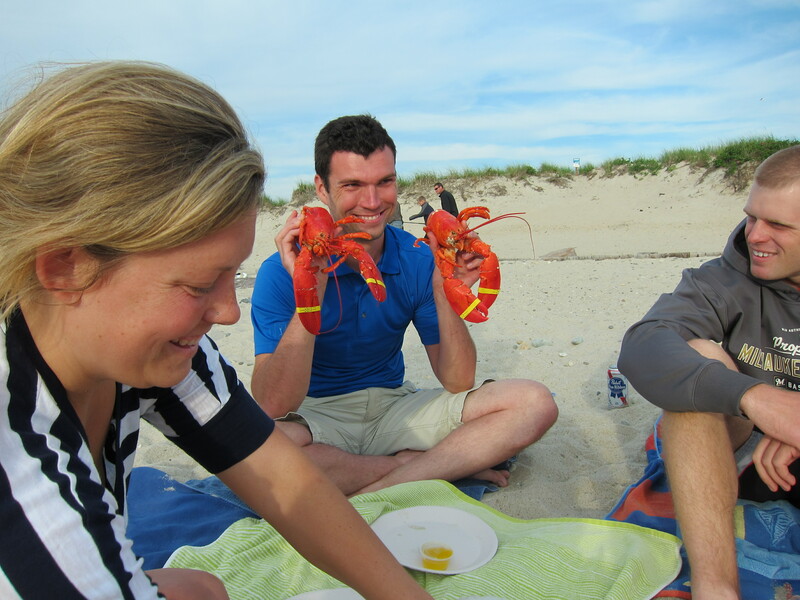 Only three hours after departing Ithaca and we were sitting on the western shore of Martha’s Vineyard eating fantastic steamed lobster. The weather was absolutely prefect all weekend. Temperatures were comfortable and the skies were clear. On Saturday we planted a spot on the beach and enjoyed an ice cold beverage before going out to dinner and the bars during the evening. The official drink of the trip had to be the delicious Dirty Banana from Donovan’s in Oak Bluff. On Sunday we visited the Polly Hill Arboretum, toured the cute neighborhoods of the island, and packed our bags to head home. 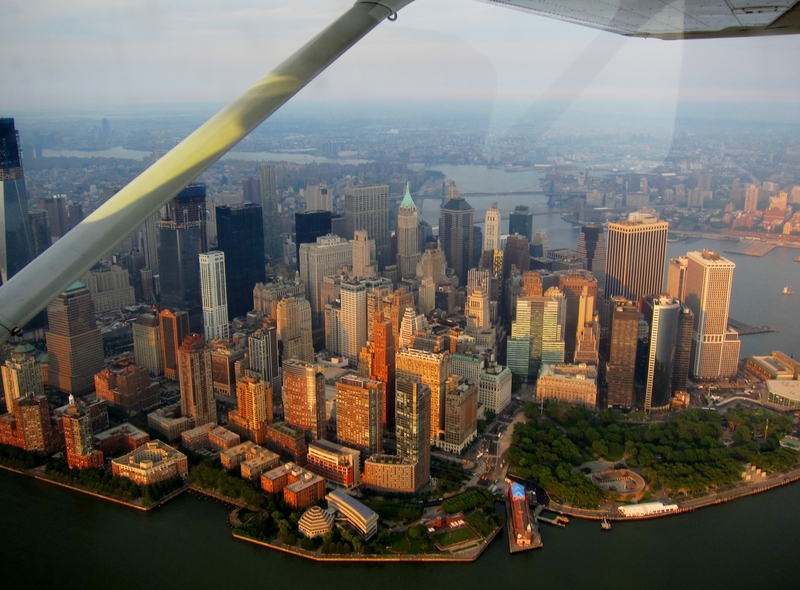 Instead of heading straight home we thought it would be fun to fly along the southern coast of Connecticut and see NYC from the Hudson River Skyline Route. So before we departed I watched the the FAA Safety Course for the Hudson River Corridor, studied the NYC TAC, and planned a route to Westchester County for a fuel stop. Visibility began to drop as we approached NYC which made finding the airport a chore. 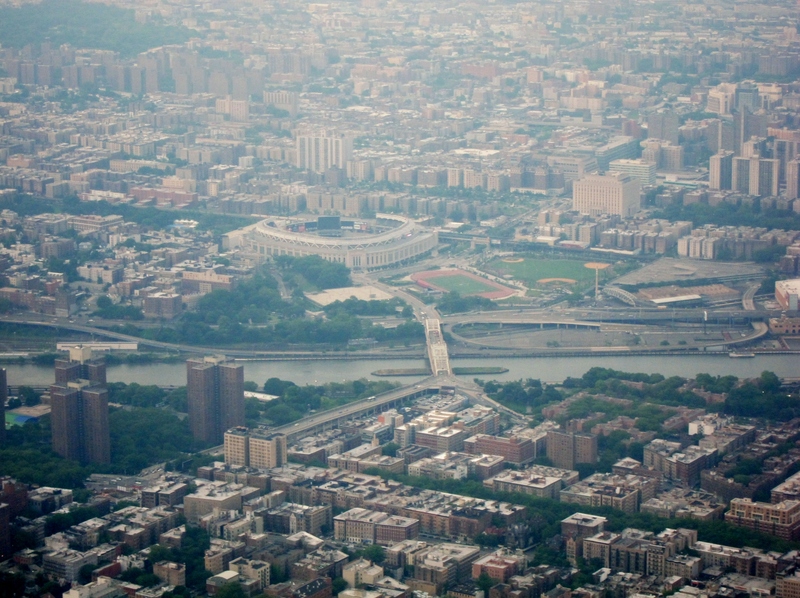 Flying into Westchester was quite an experience in itself. I should have realized an airport with five FBOs would be busy. Two crossing runways were active, landing and departing IFR traffic were using runway 16 and VFR traffic were using 11. After a pitstop at Millionair (which my friends thought was amazing, oh our rich fantasy lives) we departed westbound to fly down the Hudson and circle the Statue of Liberty. I decided to use the Skyline Route through the Bravo instead of the shallow VFR corridor. I prefer to hear the traffic advisories from ATC instead of other pilots self announcing their position, and how often am I going to fly into Class Bravo airspace? I only had one small problem when attaining my ATC clearance. I had asked for the Skyline Route and then to fly direct to ITH. The controller was slightly confused. “Why do you want the Skyline if you are heading north” he asked after he thought about it for a second. It became clear when I said I’d like to circle the lady and then head back north. Aside from that, the tour was extremely easy. It really is impressive to see the city from the sky. After an amazing weekend it was finally time to head home. 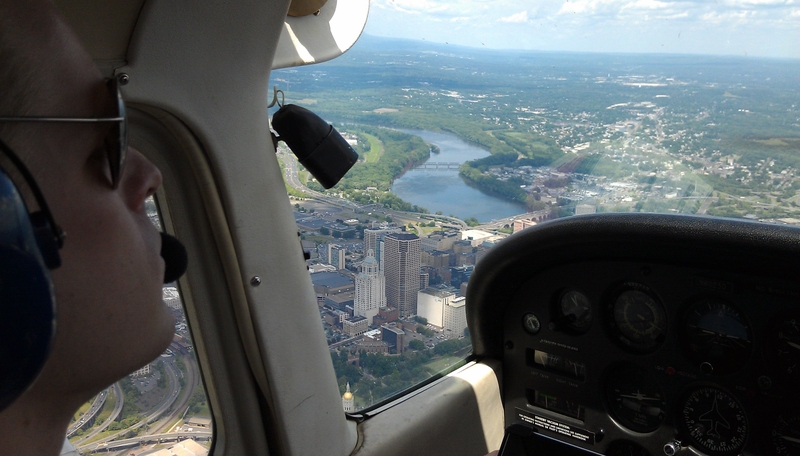 We flew direct from the Tappan Zee bridge to Ithaca at 6500′. Everyone was exhausted and fell asleep on me over PA. Air traffic was minimal around AVP and BGM and the radio was eerily silent especially after experiencing the constant chatter around NYC. I have to admit, it was nice to hear Doug Lewis working the tower at ITH and was cleared for a straight in to familiar runway 32 at the end of the day Sunday. It was a such great trip and a real confidence builder. I would highly recommend it to anyone in the club, if even just for a day. It is quick and easy with helpful ATC along the way. 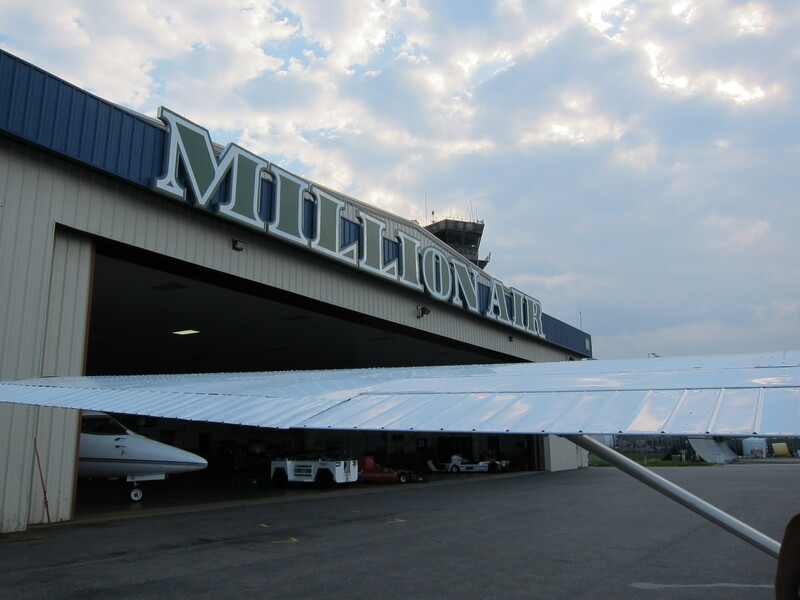 Attaining my Private Pilot certificate has been such a life changing event. Even nine months ago I could not have imagined doing something like this. Can’t wait to take my next trip!